Comments due Tuesday on the proposed 2015 Medicare physician fee schedule are likely to include a range of concerns from healthcare groups, from reporting and documentation requirements to that annual provider wish, repeal of the Medicare sustainable growth-rate physician payment formula. The CMS' proposed policy and payment changes, released July 3, include provisions expanding reimbursable telehealth services, as well as refining reporting requirements for the federal Open Payments program created by the Physician Payments Sunshine Act provision of the Patient Protection and Affordable Care Act. Anders Gilberg, the Medical Group Management Association's senior vice president for government affairs, said the MGMA is seeking reporting requirement alignment between the electronic health record meaningful-use incentive program, the Physician Quality Reporting System and value-based payments. The proposed rule also includes a provision to begin paying doctors a monthly $41.92 care-management fee to coordinate care for Medicare beneficiaries who have two or more chronic conditions. Karen Ferguson, the American Medical Group Association's senior director of public policy, said her organization and its 435 member medical groups welcome the new fee, although they are concerned about documentation requirements and whether patients will be required to provide a co-pay for the service. 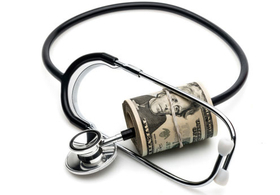 In an Aug. 26 letter to CMS Administrator Marilyn Tavenner (PDF), American Academy of Family Physicians Board Chairman Dr. Jeffrey Cain echoed many points raised by Gilberg and Ferguson, while reiterating the call for the CMS to work with Congress to eliminate the Medicare sustainable growth-rate physician payment formula. If the SGR is not repealed or bypassed, an estimated 20.9% pay cut is set to take effect April 1, 2015. “The AAFP encourages CMS and Congress to work together and avert this devastating cut and replace it with a formula that includes better payment for primary care,” Cain wrote in the letter.